As you progress through flight school, you’ll likely come across the term “deicing”, especially if you’re learning to fly during winter or frequent colder weather climes. Before takeoff, you’ve probably seen large vehicles circling airplanes on the runway, spraying a green or orange fluid on the wings and tail. In short, this is just the plane being cleared from snow, ice and frost. So why is it so important to be sure the aircraft is free of these pesky substances? Let’s answer that question with a quick guide to aircraft deicing. Aircraft deicing is an essential task when flying in cold temperatures, and simply refers to the act of removing and preventing the build-up of snow and ice on the wings and tail of an airplane. Ice or frost on an airplane will increase drag and reduce lift, resulting in a longer takeoff roll, a higher stall speed and a slower climb rate (if you get one at all). Aircraft can also experience instrument malfunctions, erroneous instrument readings or loss of power in icing conditions. Because a plane’s wings and rear tail component are engineered with a very specific shape in order to provide proper lift for flight, snow, ice and frost can negatively affect that. When these surfaces contain snow and ice, it essentially changes their shape and disrupts airflow across the surface, preventing the plane from creating lift. Even a small layer of frost can cause a significant change in the shape of the airfoil and a corresponding change in airplane performance characteristics. It’s crucial that whenever snow, ice, and in some cases frost, accumulates on your aircraft that you remove it or speak with service professionals at your fixed-base operator (FBO) to have it removed. Winter can be a great time for flying, but if you can’t store your plane in a hangar, make sure you have some deicing and anti-icing fluid on hand and don’t be afraid to use it. Applying it liberally on the ground will allow you to relax in the air, knowing your airplane is flying at peak performance. If you have the proper training, you can conduct deicing procedures yourself, such as brushing off snow and spraying down the plane. However, if you’re new to flying, the FBO will clear the plane’s surfaces for you. To remove snow, ice and frost, a mixture of glycol and water, otherwise known as deicing fluid, is heated and sprayed under pressure to remove snow, ice and frost from the aircraft. Deicing fluids use different kinds of thickeners, and the kind you uses depends on your aircraft. In order to determine which types of fluids you need, refer to your aircraft flight manual first, and then ask a service technician at your FBO if you can’t find an answer. In general, however, small aircraft use Type I or III fluids, which are made for planes with slower rotation speed. Type I and III fluids provide approximately 45 minutes of ice protection on the ground when applied by an experienced person. But while deicing fluid is effective in clearing surfaces, it can’t fully prevent further ice or frost from forming. Prevention tasks become especially important when snow, sleet or freezing rain is in the forecast. After the deicing process is finished, anti-icing fluid, with a higher concentration of glycol than deicing fluid, is applied. With a much lower freezing point, anti-icing fluid will prevent precipitation from freezing on the aircraft surface. Remember to never use unapproved substances like windshield wiper fluid or rubbing alcohol. Even hot water can cause problems, as it refreezes quickly. Don’t take the risk of damaging your airplane. Throughout the deicing process, disable the aircraft’s ventilation system to keep fluid fumes out of the cockpit and cabin. While, technically, the fumes aren’t toxic, the smell can be distracting if it manages to make its way into the plane. Always take extra caution to never spray fluid into a critical “no-spray” zone of the airplane. These zones can be found in your flight manual, but generally include the windshield, pitot tube and engine inlet. Instead, use heated air to deice these areas. It’s critical to deice the engine openings in the method your flight manual directs. If you don’t, ice here could come loose and cause major damage as it is’s sucked into the engine. You don’t want to be in the air when an engine fails. Your aircraft is most likely equipped with special systems that prevent snow, ice and frost from building up on essential components and airplane surfaces. In general, most jet aircraft route hot air from the engines through piping in the wings, tail and engine openings to heat surfaces and prevent snow, ice and frost accumulation. On propeller-driven aircraft, balloon-like devices attached to the wings and tail are inflated and deflated with air from the engines, which prevents accumulation. Deicing is an essential component of flying safely in the winter months and in freezing temperatures. Always consult your flight manual and ask the service members at your FBO if you have any concerns about deicing your airplane. Do you want to learn how to fly? Get in touch with the flight instructors at Inflight Pilot Training today! 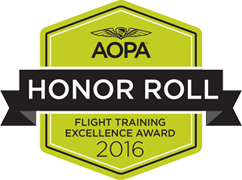 We are a premier pilot training company serving the Twin Cities and surrounding areas. 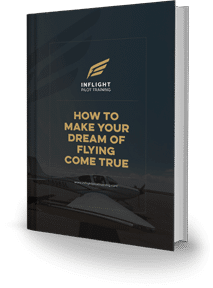 With a reputable training program and an extensive roster of highly skilled, certified flight instructors, it’s our goal to help you achieve the rating or certification you want. We can help you reach your goals – get in touch with our team of flight instructors to find out more.